Here we go! 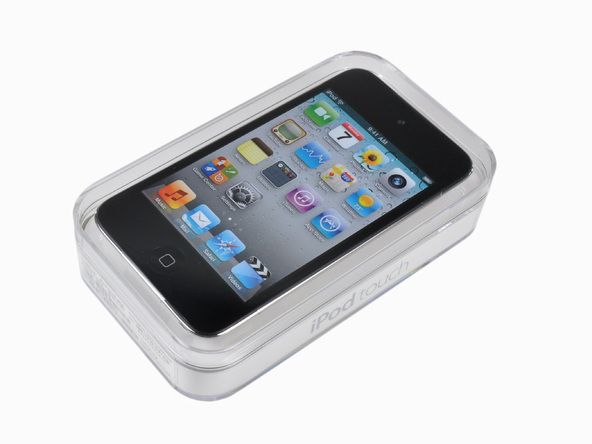 This is the giveaway for a brand new, unopened iPod Touch 4G (8GB). Follow the rules below to be entered into this giveaway. Follow @bbsipodtouchelp on Twitter by clicking here and clicking follow. You can make multiple accounts for a better shot at winning. Tweet the message out to your twitter followers by clicking here. Leave a comment on this post and be sure to include your twitter username so I know who you are. The winner will be chosen on Thursday, December 8th at 6:00 PM est. I will only ship to U.S. and Canada! This giveaway has ended and the iPod has been shipped to the winner. Congrats again to @TechGeeek and thanks to everyone who entered, you will have a shot at more giveaways in the near future.